Hundreds of days of the WikiLeaks founder’s drawn-out extradition case have become commonly regarded as a “circus” and a “mess,” spokesperson for the organization Kristinn Hrafnsson told RT, as Julian Assange has appealed to the Swedish Supreme Court. Assange’s lawyers appealed to Sweden’s Supreme Court on Wednesday, arguing that the “severe limitations” on his personal freedoms are disproportionate to the case levied against him. Assange has resided within the Ecuadorian embassy in London for over two years while awaiting safe passage to South America, where he has been granted asylum. 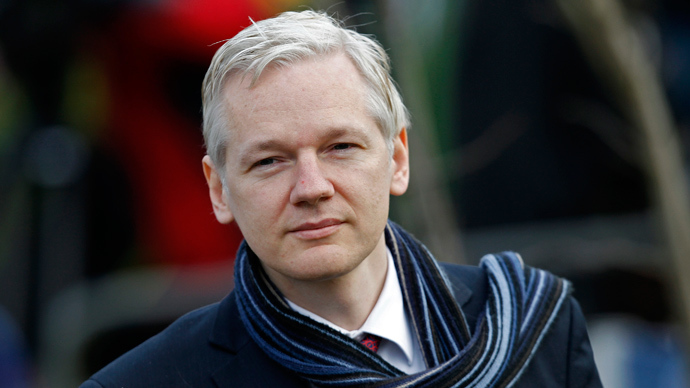 The WikiLeaks editor has not been charged with a crime, but is wanted for questioning regarding the allegations of sexual misconduct levied against him in Sweden in 2010. Assange managed to secure political asylum in the face of a US criminal investigation against his organization two years ago. If he is deported to Sweden, he will likely also be extradited to the US, where he will face espionage charges over his role in publishing sensitive, classified government documents. RT:It's the final appeal, right? If the court dismisses it again – it's over, isn't it? Kristinn Hrafnsson: It's not really over, because there’s always the European Court of Human Rights, and indeed Julian’s lawyers in Sweden have broadened the scope of their arguments and their appeals for the Supreme Court in Sweden by including protocols and judgments from the European Court for Human Rights, so they are quite certain they have a very solid case there. RT:Is there anything that makes you optimistic that he might actually win this appeal? KH: I always try to be optimistic, and if you look at the merits of the law and the arguments, you must see that this is an absolute ridiculous situation to keep this going for so long. And there will be more and more people in Sweden and in the legal community who agree with that. Just recently, the head of the Swedish Bar Association called this impasse “a circus,” and I agree with that. I also agree with the president of the Supreme Court in Sweden, who said two years ago while speaking in Australia that this case was “a mess,” and that it should be resolved. And this is now in the hands of the Supreme Court in Sweden, and let’s hope that this will come to an end – this shameful chapter in Sweden's history of human rights. RT:We’re also crossing our fingers for Julian. If it doesn’t go through, what options are there? Other than the European Court of Human Rights? KH: We are still at this impasse...it’s now 1,500 days in pre-trial detention, practically, and 1,000 days in the Ecuadorian Embassy...We must hope that common sense and justice will prevail in the end. RT:People tend to get immune to stories like this; they’re so fascinating, so highly supported in the beginning...Have you found that as the years go on, less people are talking about Julian Assange? KH: Less journalists might be talking about Julian Assange, but I don’t find that among the general public. And it’s interesting, actually, that in Sweden there has been a total change in the atmosphere. I mentioned the Swedish law community, which has become very outspoken against the way the authorities and the prosecutor has handled the case. And I also see that the Swedish press has started to actually look into the case and has started screaming with loud and empty headlines. [With] the general public, there is understanding now that this is an absolutely ridiculous scenario that has to come to an end. RT:There are so many leaks that have been exposed just recently by the Guardian and Al Jazeera. It seems like this is becoming an average thing nowadays. Is that going to make Assange perhaps less of a threat to the United States? KH: He, of course, is not a threat to the United States; he is a threat to corrupt authority – that is the only threat there is within WikiLeaks. We are seeing more and more leaks. RT:They see him as a traitor, as a threat to their national security. So why are we going to see him becoming less of a threat...? KH: I think that people are beginning to understand the importance of knowing the facts and the truths – and hence more and more leaks...Since [2010 and 2011] we are seeing more and more leaks, and people are getting more responsive to the fact that the whistleblowers and journalists and publishers who are facilitating them with the truth are extremely important. Let’s hope that little by little, that understanding will get to the top of the power structure in Washington and elsewhere. RT:I think it will be somewhat of a miracle that the Swedish court goes ahead and grants this appeal. You seem to be very optimistic, and I respect that – but I’m a little bit more skeptical about that. But does it mean that if it’s dropped, Julian walks out of the embassy? KH: The issue, of course, is that the British authorities have said that they would not let him go even if that arrest was in its drops, so we have to cross that bridge when we get there. I am optimistic for many reasons, because I’ve been looking into the case and the actual merit of the case. Let’s also not forget that one of the chords in the Court of Appeal – even though they ruled not in Julian’s favor in November – one of the judges said that it would be extremely hard for the prosecutor not to lose the case in the Supreme Court. If the prosecutor would not break the impasse and move the case forward, there is a duty on the prosecution to move a case forward, and the prosecutor in this case has not done anything since then – not anything in four years, in fact.